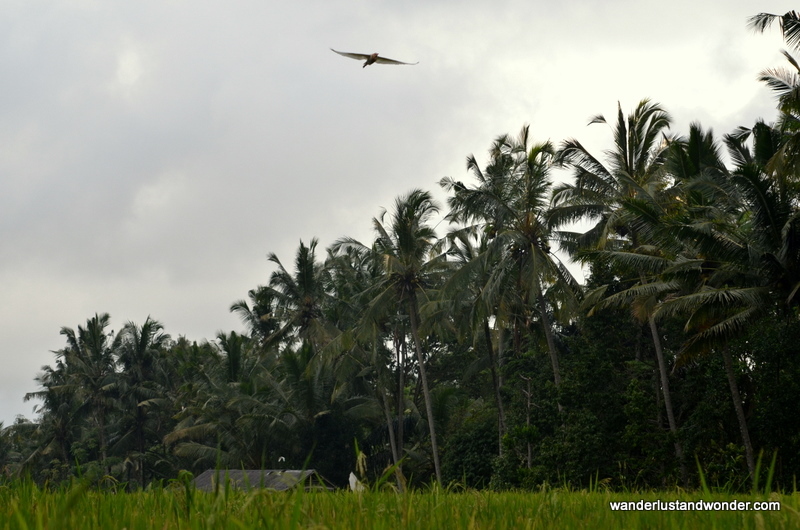 On my birthday we went to see the Sacred White Herons of Bali. Said to be lost souls of those killed and buried without due rites in a 1965 failed coup attempt – the white birds descend by the thousands each evening on a tiny stretch of land in the village of Petulu. 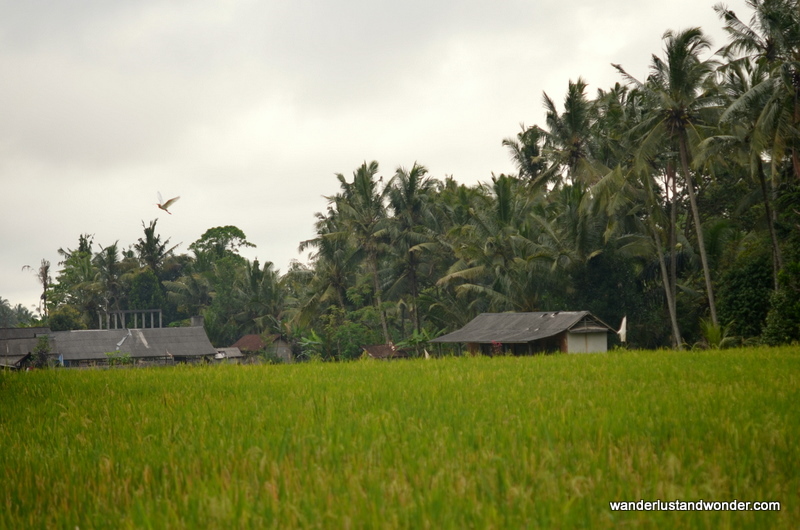 The village is quiet at dusk, except for the sound of wings flapping and the birds communicating to each other. 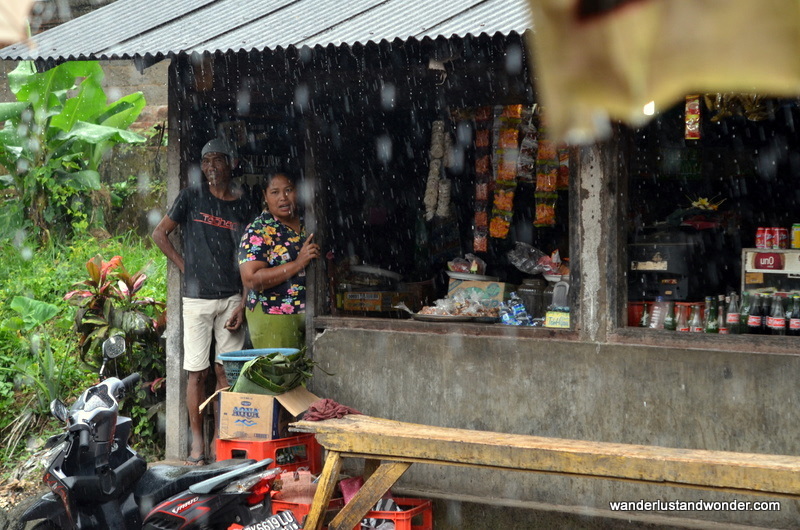 As we were taking in all the beauty of the lush village and its gentle inhabitants, the sky opened up and rain poured down. We ducked into the first form of shelter we found. A garage just big enough for the motorcycle inside. 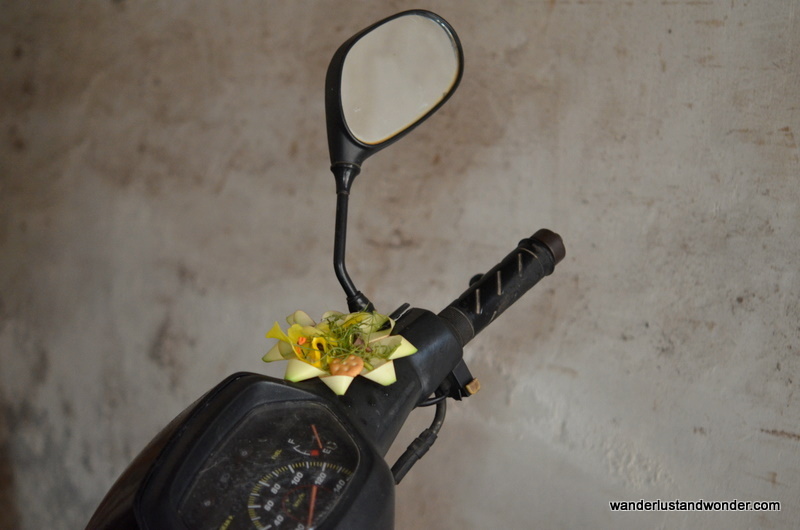 As we shook off the rain, we noticed a woman was making an offering on the motorcycle. Nonetheless she welcomed us and told us to stay as long as we liked. Outside children ran with reckless abandon. 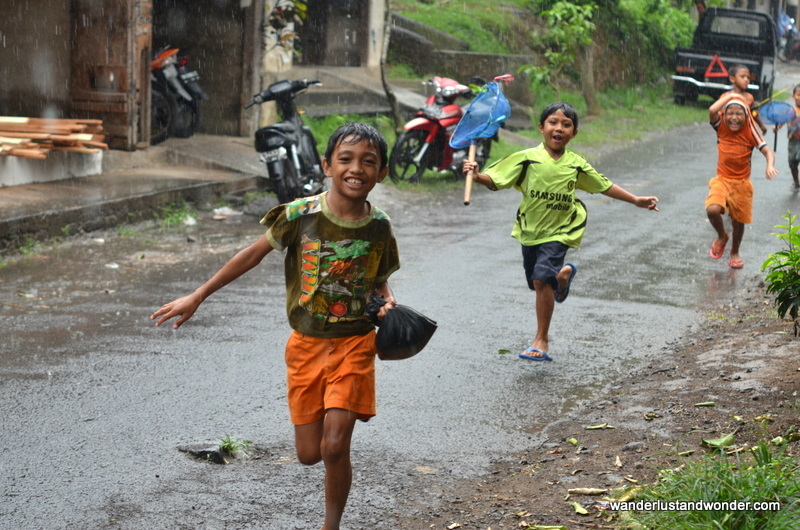 Children the world over love to play in the rain. I remember jumping in puddles myself, loving it when water made its way through my shoes and my toes became ‘squishy’. It was a beautiful way to enjoy getting a little older, while still remembering the importance of remaining young at heart. 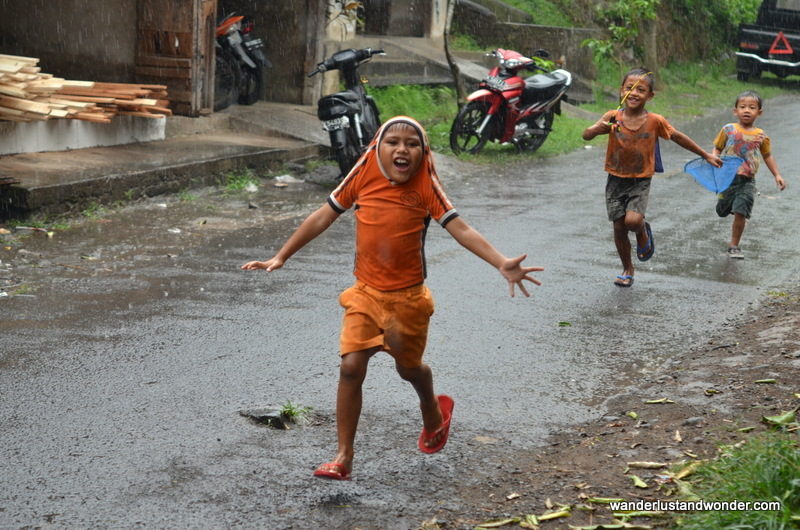 I love the pictures of the kids in the rain!